On Tuesdays, I run a classic film screening. On Fridays, I (try to) write about these movies. This week’s film: Sabrina (1954) – Dir: Billy Wilder; starring Audrey Hepburn, Humphrey Bogart, and William Holden. 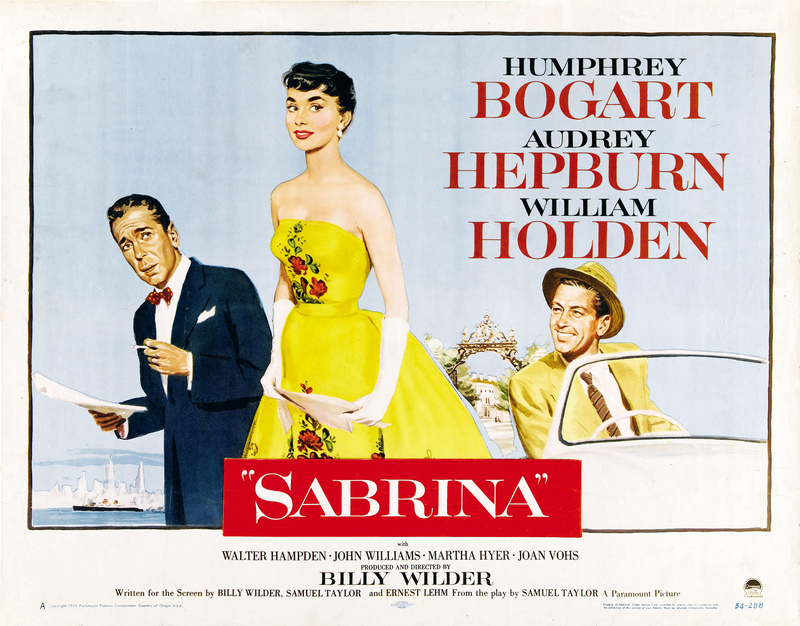 Sabrina is a charming Cinderella story about a plain and naive chauffeur’s daughter who transforms into a glamorous woman while attending school in Paris. Sabrina, who is played by Audrey Hepburn, had been trying to forget a long crush on David Larrabee (William Holden), the son of her father’s employer. Instead Sabrina’s physical transformation causes David and his older brother Linus (Humphrey Bogart) to finally notice her. It probably goes without saying that Sabrina is completely dependent on what the title character is wearing. When we first see Sabrina, she is a young and simple girl. Her crush on David causes her act irrationally; in one scene, she comically attempts suicide. Fittingly, Sabrina’s first outfit lacks sophistication and highlights the character’s youth. Hepburn’s naturally boyish figure helps emphasize Sabrina’s naiveté. While in Paris, a baron takes an interest in Sabrina and her well-being. (She’s so unhappily in love, she can’t remember to turn on the oven. That’s an issue when making a soufflé.) The baron introduces Sabrina to the world of the wealthy and she returns from Paris as a completely unrecognizable woman. She got a lapdog too. Hepburn’s casual, childlike, and boyish appearance from early on in Sabrina (and in Roman Holiday, for that matter) is replaced with a stunningly sophisticated look. These outfits signify Sabrina’s physical and emotional transformation as she pursues adult relationships for the first time. 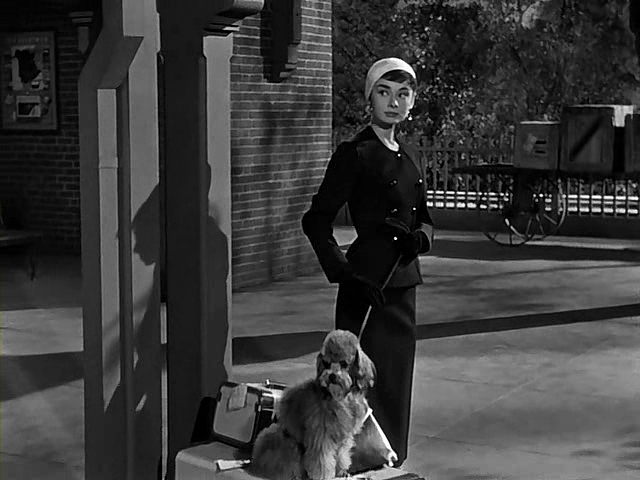 Edith Head and Hubert de Givenchy’s costume designs for Sabrina are some of the most iconic in film. (However these two did or didn’t collaborate doesn’t matter.) These costumes emphasize Hepburn’s unique look and they transformed Hepburn into a fashion icon. Next Next post: Skins Rewind: Who’s That Creeper In The Window?